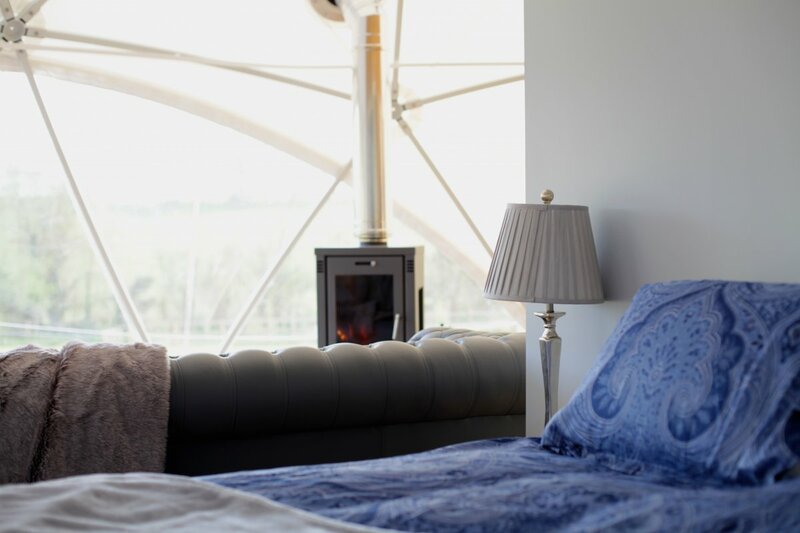 In The Stix, Greetham, Rutland, sleeps 6-24 in 8 bedrooms. 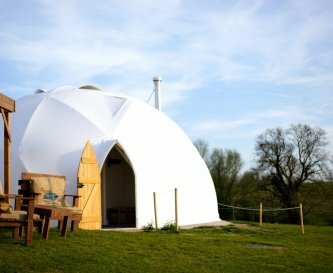 With our 4 well appointed domes we can give businesses a chance to get away from the city and experience the great outdoors, but without the hassle of putting up a tent! 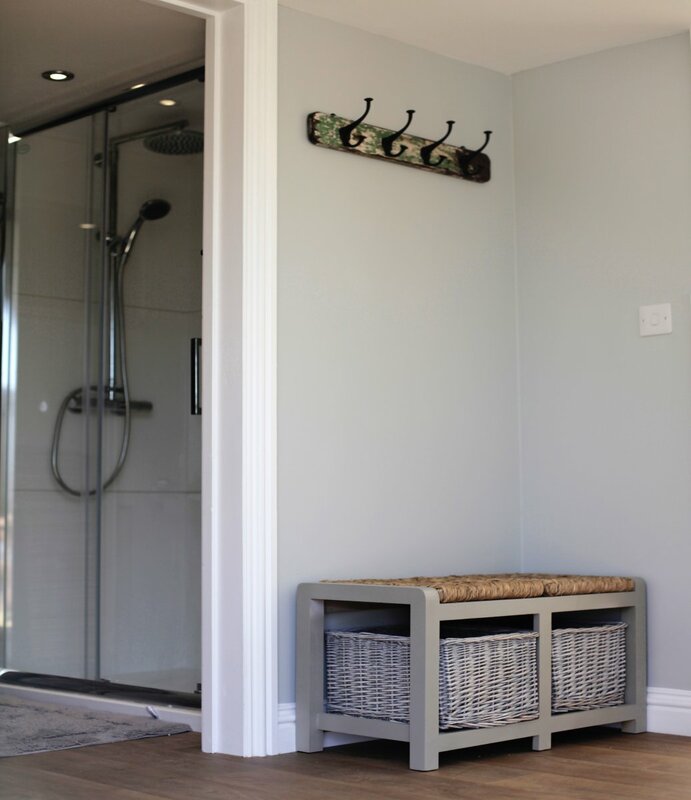 With everything supplied, from the lines and towels to all your kitchen basics, all you need to pack are your clothes. 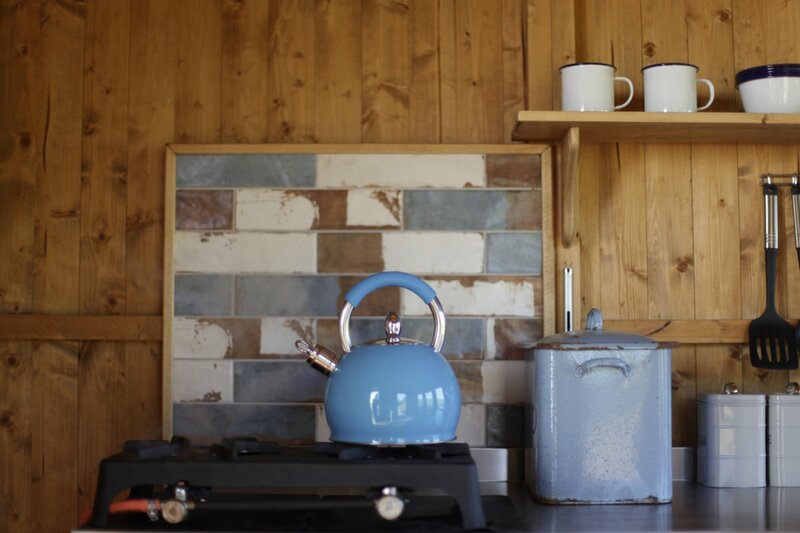 Our focus and ethos on site is to get away from the stresses of the hectic world we live in. Put your phones and laptops down and communicate with those around you. 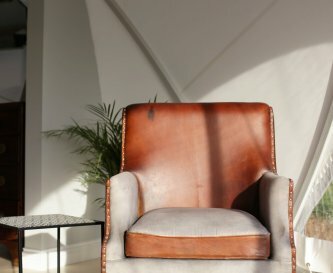 A digital detox is good for the soul! 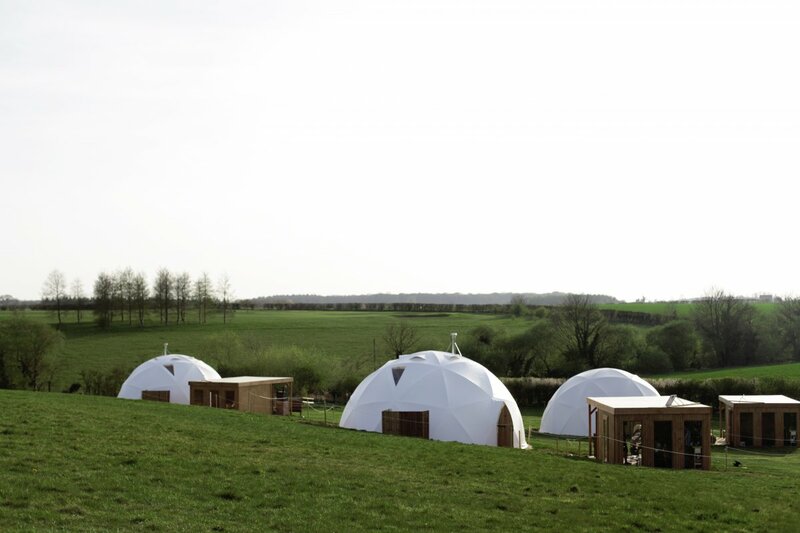 The domes each sleep 6, or 5 if separate beds are required (as one is a king size). 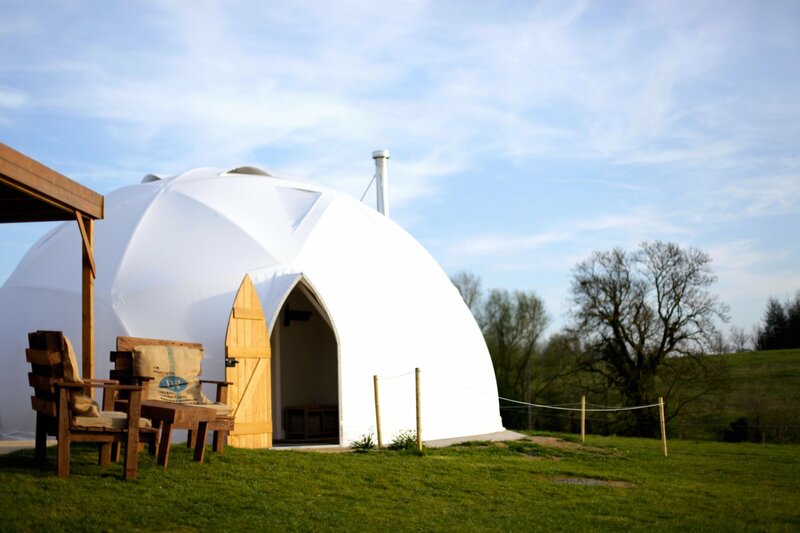 Each dome has it's own kitchen with a 2 ring gas hob and a pizza oven. 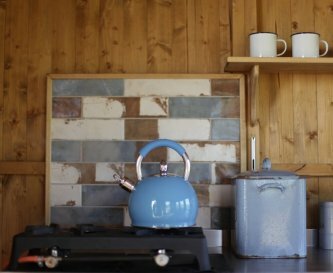 This enables everyone to still experience the camping must of outdoor cooking! 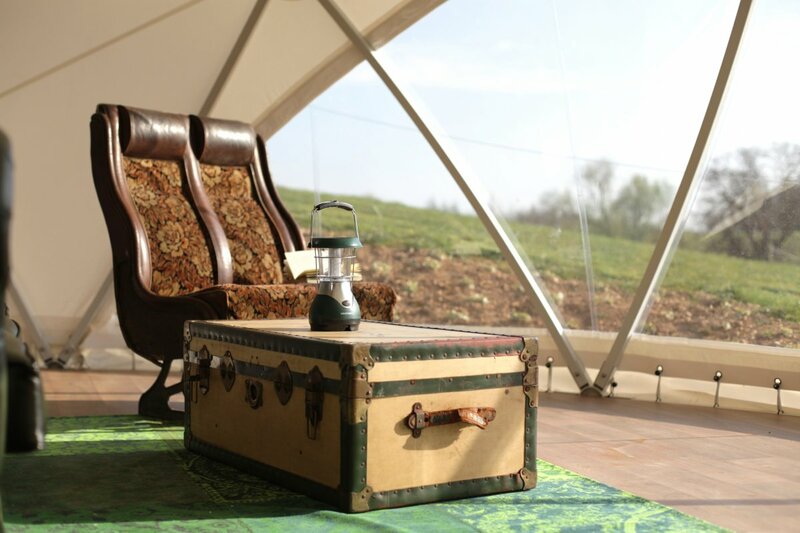 Larger groups have put their tables together and eaten out under the stars but there is always the option of hiring in a communal tent which could be used for meetings or socially in the evenings. With Rutland Water only 6 miles away, a range of water-based activities are on our doorstep. Choose from open water swimming, canoeing, kayaking or sailing, as well as cycling, and we now have the largest inflatable Aqua Park in the UK. 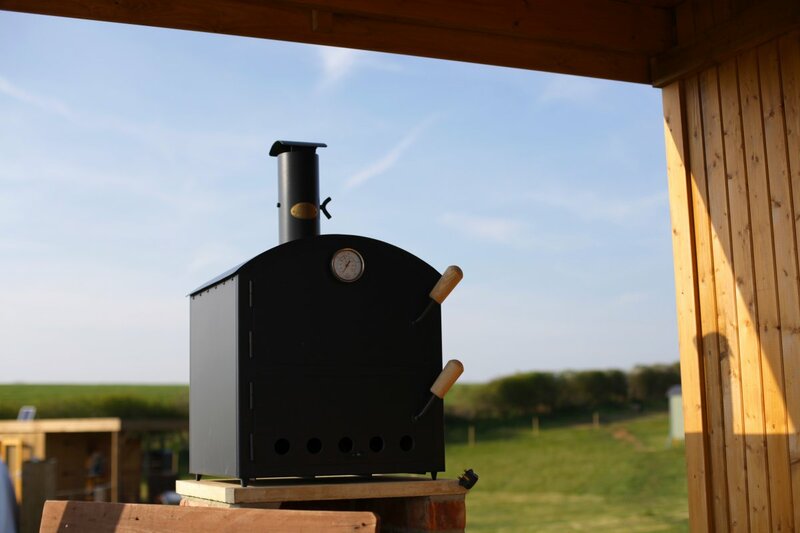 After a busy day out at Rutland water, why not let us do the cooking for your group! We offer pizza and steak nights: choose between the two and let us do the rest, including set up and clearing away, allowing your team a much earned rest after your team building activities. 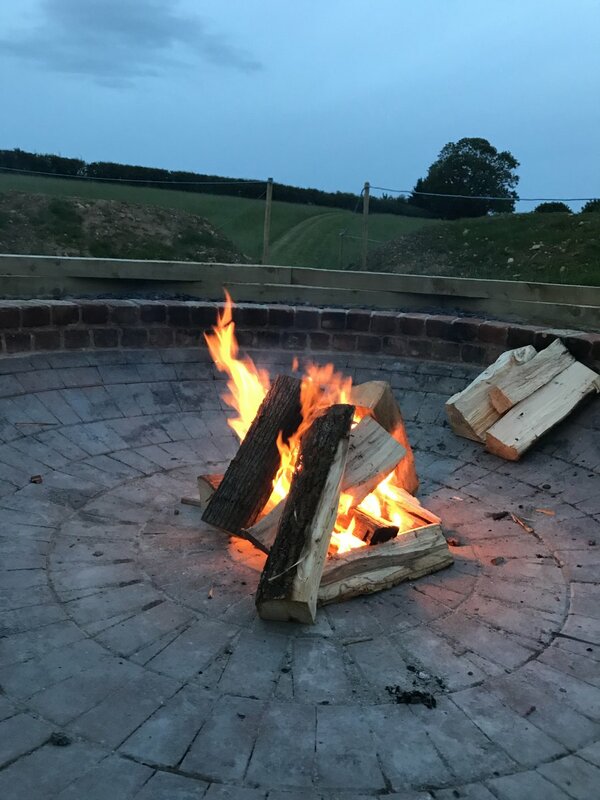 Relax at the end of a busy day around our very large fire pit and toast some marshmallows, a perfect end to a busy day! 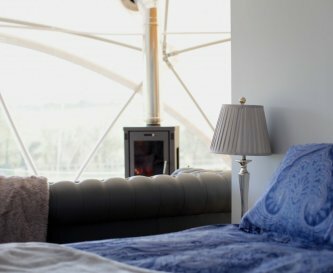 Each dome boasts it’s own kitchen, fully equipped and supplying everything you need for your stay, including your own wood fired pizza oven! 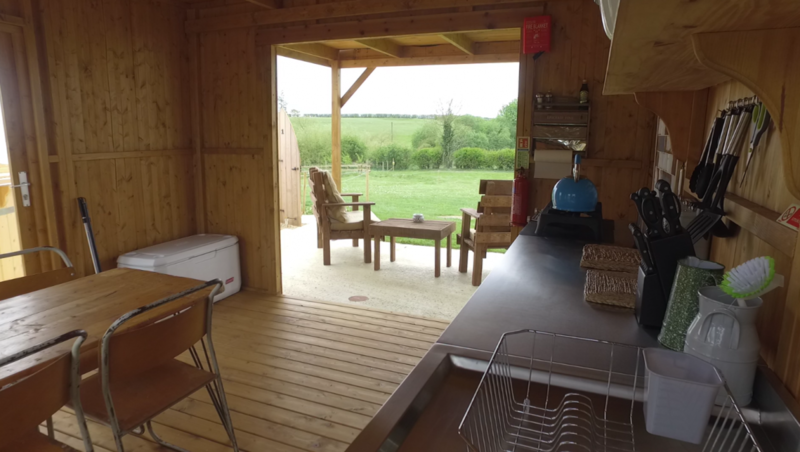 The dining area is within each kitchen but large groups have enjoyed joining up the tables on the grass to create a large social dining space. Beautifully designed living spaces. 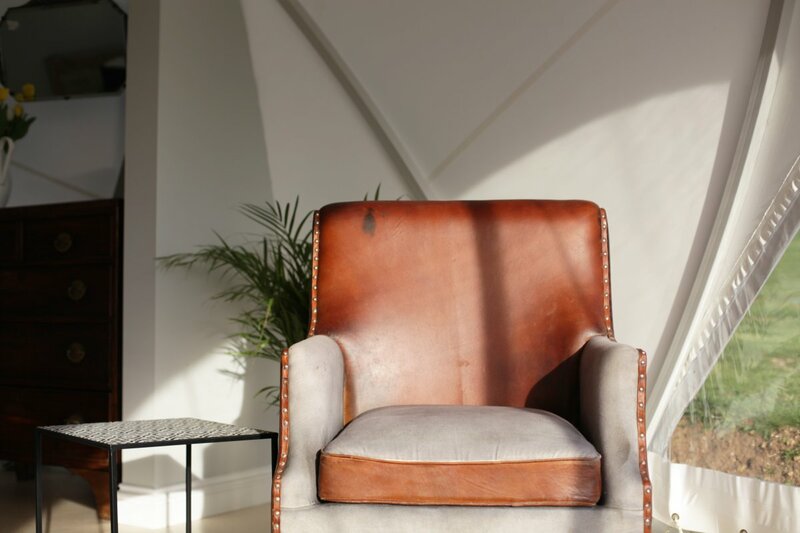 Each with a large Chesterfield leather sofa, armchairs and log burners overlooking our stunning view. 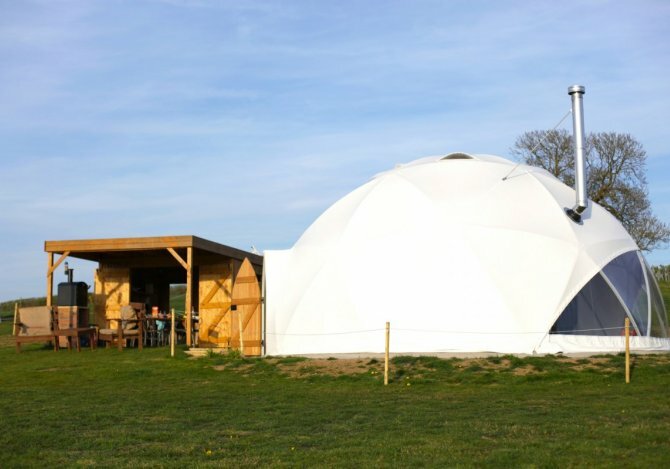 None, this is an outdoor experience, encouraging a digital detox. This is limited to your own network provider. 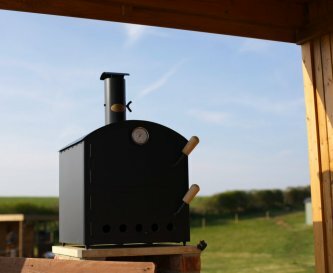 Log burners, pizza ovens, individual wood fired hot tub per dome. 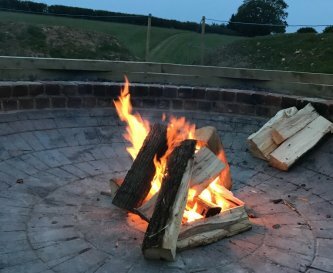 A large communal fire pit is open to the whole site. 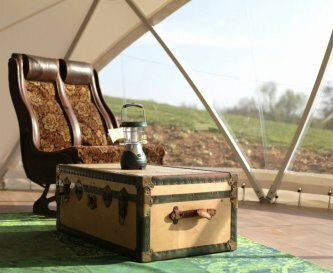 2 bedroom spaces per dome: a master suite downstairs, upstairs is versatile, allowing for a combination of single or double beds for 4. All linens are supplied by us. 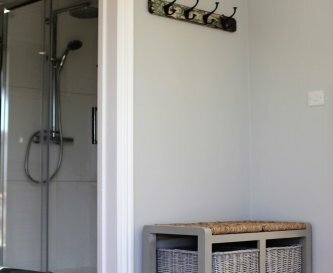 Beds are made up for arrival and each guest is supplied with towels and toiletries. 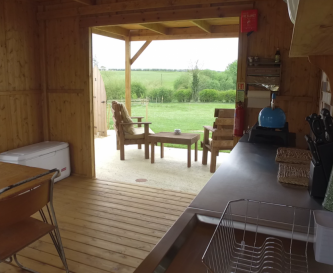 One of only a few glamping sites with full en suite plumbed facilities! A large shower in each. Play area, football goal, fire pit. Outside tables which guests can join together for group dining. Yes free parking available on site. No smoking is permitted on site. Dogs are allowed - there is a £20 charge per dog. We can be found from both the north and the south very easily from the A1. In a rural setting in the unspoilt and relatively unknown county of Rutland. Near historic Stamford. 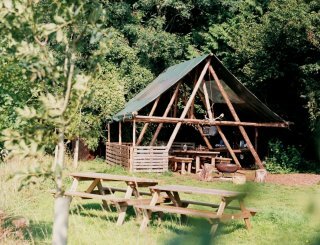 The Wheatsheaf (which is fabulous) and is located a short walk along the brook from the campsite. East Midlands 45 miles away. 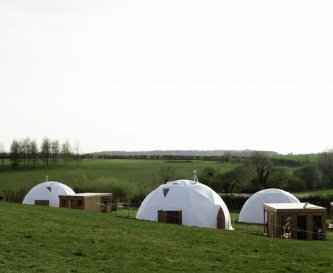 The whole site hire would work best for these functions. Prices differ throughout the season and are based on the number of people staying. 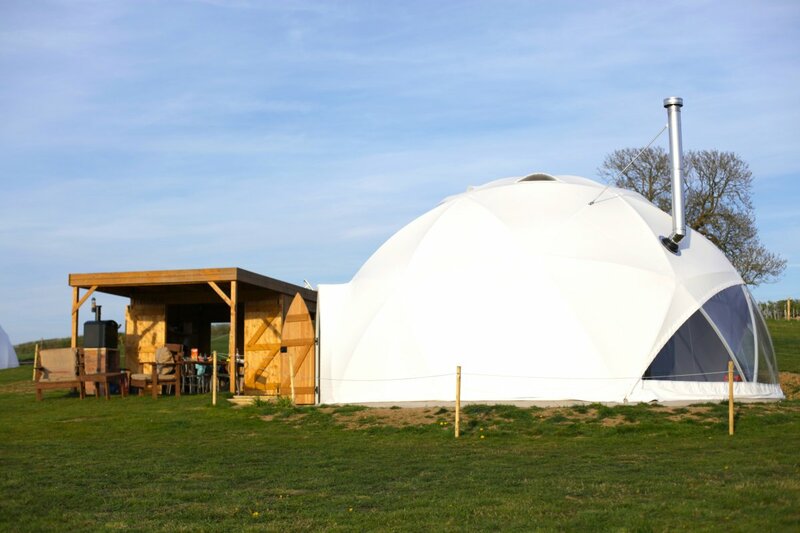 Full site hire starts from £1,596 for 16 people in April for 4 nights or in August the same would be £2,340. Please contact us for individual pricing.